There is so little operational expertise with IPv6 that the risk of mistakes managing the migration from v4 to v6 is high, which can cause problems. And, the quality of the implementations with v6 stacks will be problematic simply because they are new. This session with leading O'Reilly authors and IPv6 experts will help you get prepared to successfully manage the transition, identify when and how to get started and avoid mistakes. 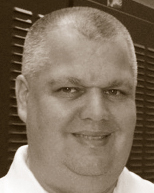 Owen DeLong is an IPv6 Evangelist at Hurricane Electric, one of the premier IPv6 network service providers. He has over 20 years of experience in TCP/IP Networking and Systems Administration. He is a member of the ARIN Advisory Council, and instrument rated pilot, and, a SCUBA instructor. 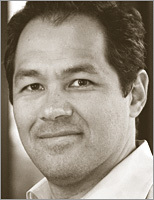 Cricket Liu is the co-author of all of O'Reilly & Associates Nutshell Handbooks on DNS, DNS and BIND, DNS on Windows 2000, DNS on Windows Server 2003, and the DNS & BIND Cookbook, and was the principal author of Managing Internet Information Services. Cricket also is Vice President of Architecture at Infoblox and serves as a liaison between Infoblox and the DNS user community, frequently speaking at industry events around the globe on DNS best practices and related topics like IPv6 DNSSEC.